The AS332 Super Puma is a medium utility helicopter originally made by Aerospatiale and Eurocopter. It is currently produced by Airbus Helicopters. The AS 332 first took flight in 1978. As you may suspect, the AS 332 is an upgraded version of the AS 330 Super Puma. Work to make an improved version of the Super Puma began in 1974. The main goal was to make a helicopter that was more powerful and more resistant to damage. 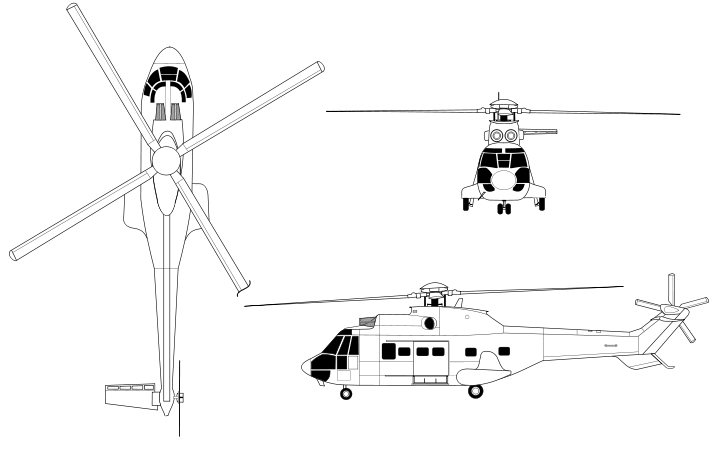 So the AS 332 features two new engines and a composite four-blade main rotor. The AS 332 and its variants come equipped with two Turbomeca Mila 1A2 engines each with a very healthy 1 845 shaft horsepower. This gives the Super Puma a lift capacity of almost 10 000 pounds. The Super Puma comes in a number of fuselage and interior configurations. For example, the short fuselage version can accommodate 15 passengers, but other configurations can handle as many as 20 individuals. The AS 332 was mainly designed for sale in the civilian market. Military versions of the AS 332 were designated as AS 532 Cougars, a cat of a different breed. The Cougar can pack an array of weaponry and perform various roles. Machine guns, pod-mounted cannons and rockets, even anti-submarine equipment were all possible for the Cougar. Since taking to the air, the AS 332 and its derivatives have have racked up an astonishing four million flight hours. About 740 total variants of the AS 332 are in service. 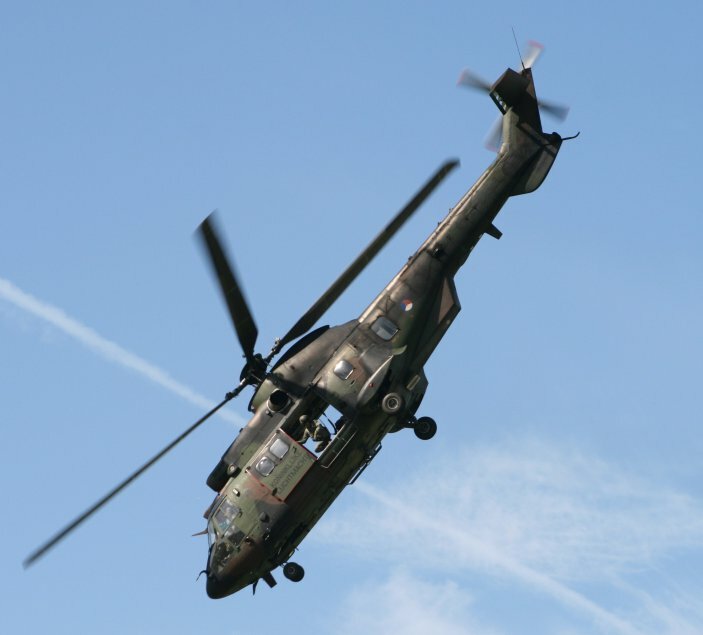 The Super Puma operates in more than 20 nations and in conditions that vary from extreme cold to extreme heat. It has seen extensive service in the offshore oil industry. Airbus have stated that the total number of deliveries totals 890, with customers in 56 nations. Do you want to comment the Aerospatiale AS 332 Super Puma / AS 532 Cougar helicopter?